The city is hosting a fundraising walk for a major charity. There will be many thousands of people taking part and good organization of the event is vital. One of the requirements is a map for participants and you have been tasked with using FME to put together the data that will form the map. 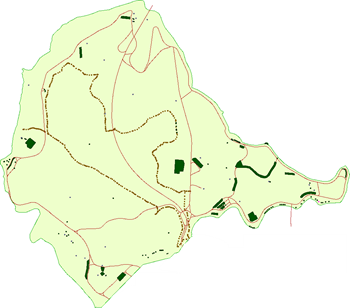 The outputs required are Google KML and GPX. So with this and the amount of input data, you will need to add lots of Readers (and Writers) to your workspace. Run the workspace (as you can see from above, only 1 feature passes the test) and view the output in either the FME Data Inspector or Google Earth. The organizing team has created a share folder for materials. We could write our data to it directly, but instead let&apos;s write a the file to our system, then copy it to the centrally shared folder. Run the workspace. You should see that the &apos;shared&apos; folder is created (assuming it doesn&apos;t already exist) and the data is copied to it. This is an excellent example of the sort of thing you might be with a shutdown script. If the workspace fails because of a Python error (it shouldn&apos;t, but just in case), don&apos;t worry about it. Everyone has a failure sometime. 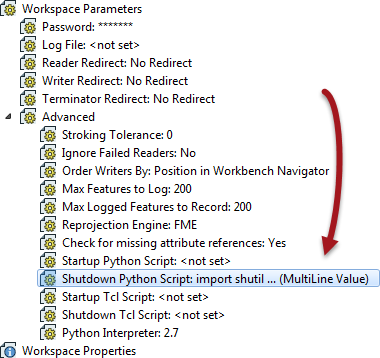 We aren&apos;t here to debug Python so just erase the script from the parameter and carry on. The important part is that you can see the type of thing a script can do and know where the parameters are to use them.